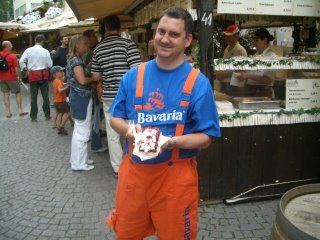 We left the chaos of the Fanfest for the more peaceful scene of the Stuttgart Food and Wine Festival, just a block from the Schlossplatz. Picking something to eat from all the options was tough, but I made do with a Belgian Waffle topped with berries and cream. Good stuff. 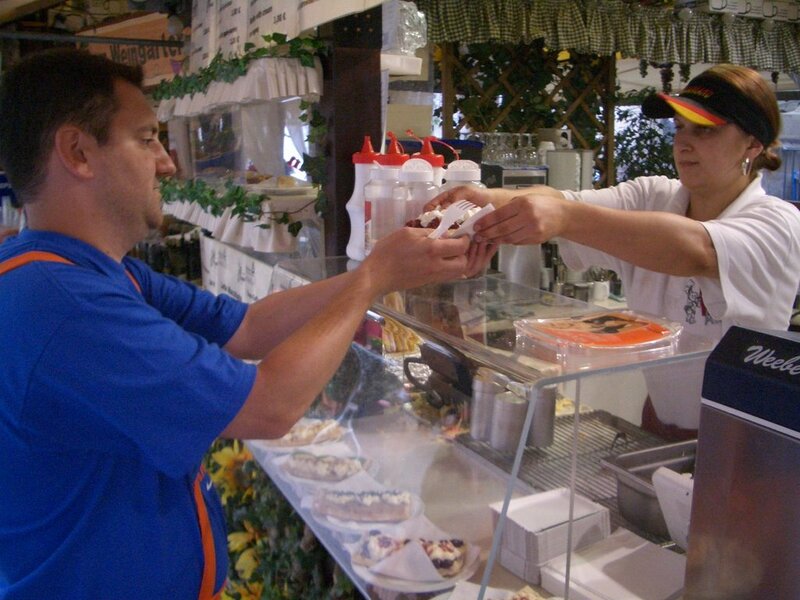 As we headed out of town, Doug finally stopped by Nordsee, a German version of Long John Silver's, which looked better and better to him everytime we passed one. 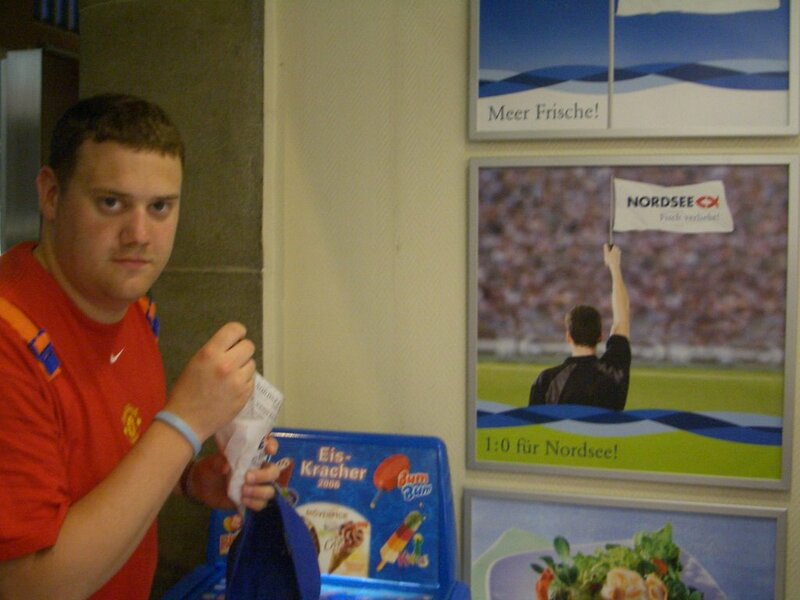 The ad says it all: "A goal to nil for Nordsee." After we got some food in us, we hopped on the train for the ride back to Frankfurt. On the train, we struck up a conversation with about.com soccer writer Bill Hutchison, who included a quick blurb about us in his World Cup journal.